Surprise! J.CREW is hosting some online summer pop-up sales. First up is 40% OFF sale styles with code MONDAY. Is offering up to 80% OFF with a huge clearance sale. Shop PAIGE Denim, Kendall + Kylie, Diesel and more with prices just starting out at $14.97. Shipping is FREE for orders over $99 or just $7.99 for standard shipping. Whoop, whoop! Through tonight, Monday 7/16 ANN TAYLOR is giving an extra 60% OFF sale styles, no code needed! Shipping is FREE on orders of $125 or pay a flat $8.95 fee. Prices start at just $14.88. Sizes are limited, so click fast. Are you a magazine lover? Then grab the latest COSOMPOLITAN Magazine offer and get 12 issues for 12 months for just $5 courtesy of Amazon.com's Deal of the Day! Yes, $5 gets you all the latest beauty, fashion + celeb news at 92% OFF the cover price of $60. I love magazines for fashion inspiration, but magazine subscriptions are also great gifts. SEPHORA Beauty Mini's | Up To 72% OFF Almost 60 BEAUTY ITEMS! Beauty lovers and early holiday shoppers it's your day! SEPHORA has got almost 60 BEAUTY ITEMS at up to 72% OFF. These beauty mini's are perfect for teachers gifts, stocking stuffers and more. Best of all, they are ALL $5 and UNDER! SHOP | SEPHORA Beauty Mini's | Up To 72% OFF Almost 60 BEAUTY ITEMS! What's better than sunnies? Designer sunnies of course! 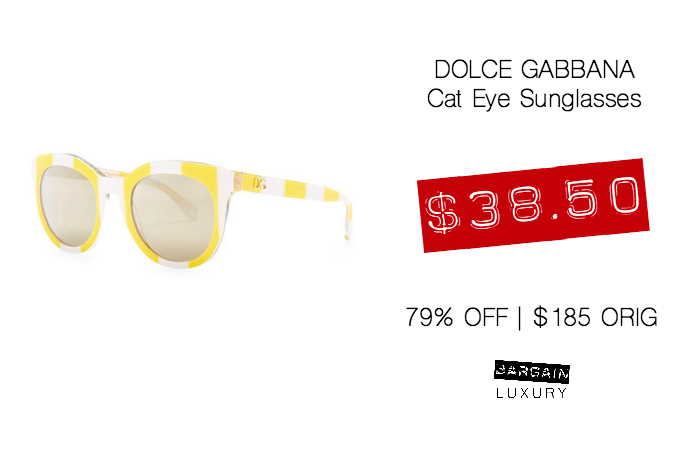 These Dolce Gabbana Women's Acetate Cat Eye Sunglasses are $38.50. That's 79% OFF the original price of $185. These stand out glasses are the perfect fashion statement with bright stripes and darling gold logos on the temples. These Vero Moda Espadrille Flat Sandals are just $9.50, that's 70% OFF the original price of $32. Sizes are limited, so act fast! Plus, shipping is an affordable $4. Akira Beaded Satin Slide Sandals are adorable and affordable at just $10 from Akira.com. These diamond and pearl studded slides come in black and baby pink and are available in size 5-10. Plus, standard shipping is $5! In need of new undies? Rene Rofe Cotton Bikini Underwear is just $1.97 at Century21.com That's 75% OFF the $8 original price. Sizes is limited in certain patterns. Shipping is a flat $9.99, so the more you purchase you more you save! This Kate Spade pre-loved leather satchel drops to $104.99 after an extra 40% OFF with code THRIFTY40 at THREDUP. This designer Kate Spade cognac cross body style satchel is a modern and easy bag to add to any collection. Click below to nab this or other styles and don't forget to use your coupon code! Got a better deal? Feel free to share it below! Looking for new bedding? This Ellison First Asia Diamond Reversible 3-Pc. 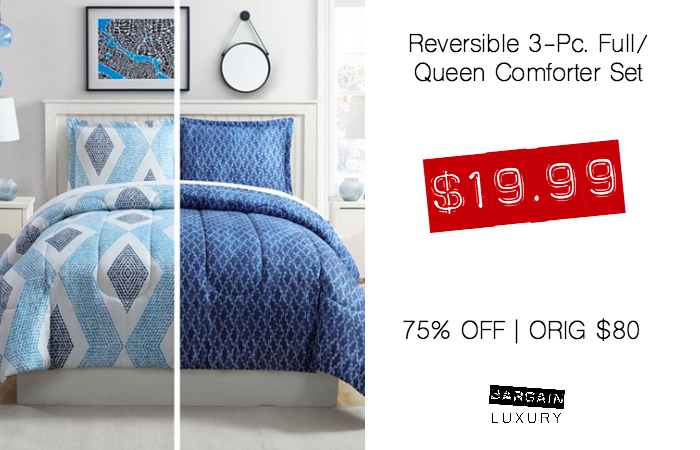 Full/Queen Comforter Set is only $19.99 or 75% OFF the original price of $80 at Macy's.com, no code needed. Click here to search different styles and sizes all at the same price point of $19.99 or below. Shipping charges start at $10.95 and can ruin these deal so opt to grab FREE SHIPPING with orders over $49 or choose the ship to store option. Hurry, this deal's only good for the next 16 hrs. J.CREW Factory is having a mega sale today , and this Patterned Schoolboy Blazer drops to $72.45 with code GOFISH. 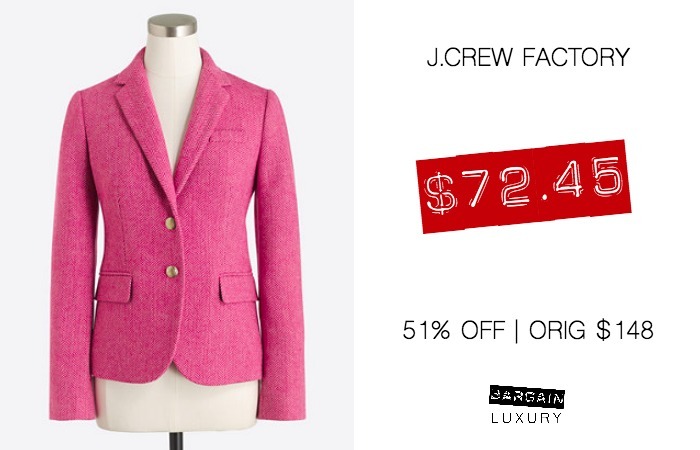 That's a whopping 51% OFF the original price of $148 for the perfect transition to fall blazer. Plus, there's FREE SHIPPING too! Tax may apply. In keeping with high fashion Maryam Nassir Zadeh is having a Labor Day Flash Sale with 25% OFF all sale goods. Prices are starting at $78 for highly curated, unique pieces that are wardrobe musts. These ROCHAS EMBELLISHED SLINGBACK KITTEN HEEL have caught my eye and are nothing short of an instant party. Ground shipping is a flat $9. Choose carefully because all sales are final. Eugenia Kim is taking an extra 15% OFF Sale styles for Labor Day with code LDAY15. Sale hats, shoes, handbags and hair accessories start at just $72.50. These red suede Tilly open toe pom pom with block heel mules tally up at $231.92 shipped which is a giant 56% OFF the original price tag of $525. Choose carefully since your sale pick cannot be returned. Labor Day shoppers rejoice! 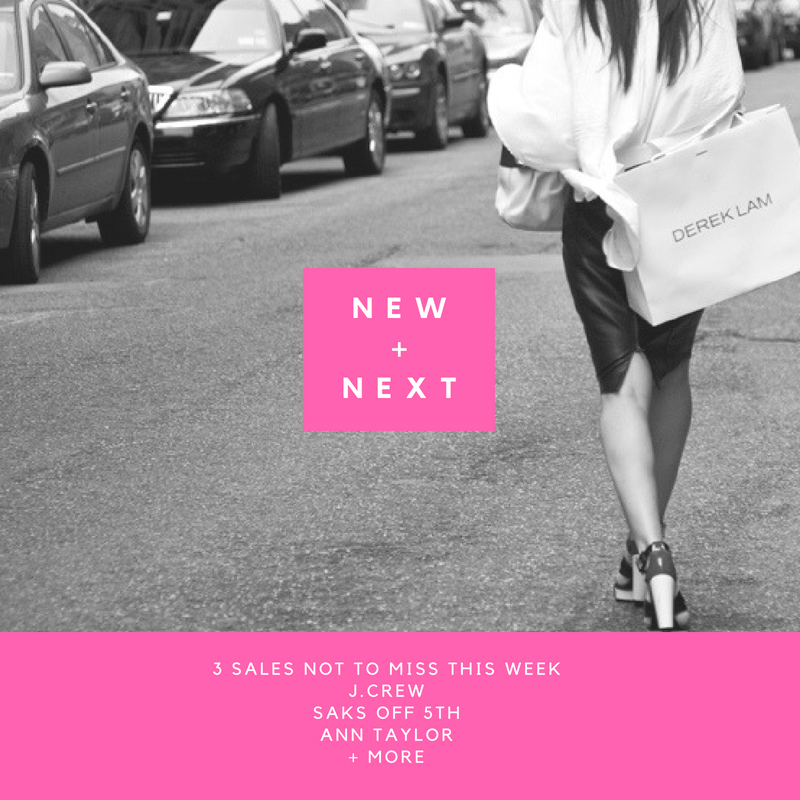 Calyspo St. Barth is slashing sale goodies an extra 60% OFF already reduced prices. 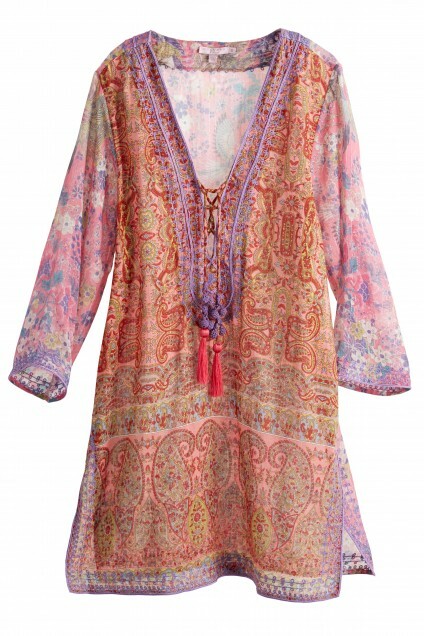 Flowy basics, like the Decida Embroidered Cotton Gauze Tunic will set you back a mere $79.60 or 60% OFF the original price of $250. Shipping starts at $12.95 for orders over $150 is FREE. Taxes and fees may apply. Our friends at J.CREW are closing out summer with a 30% OFF discount on with the code YESPLEASE. This loose but versatile colorblock waxed cotton jacket comes to just under $125 vs. the original price of $178. As an added bonus some full priced items are 50% OFF and all orders ship FREE! 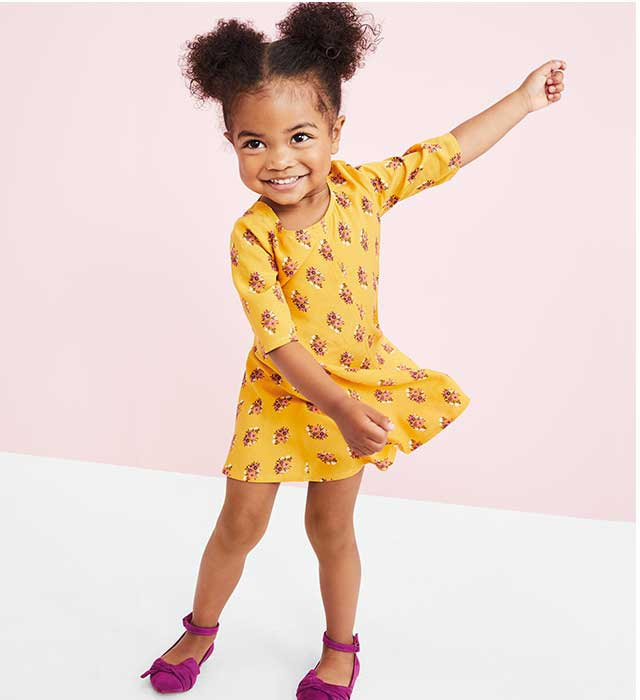 OLD NAVY believes in dresses for fall and is reducing prices to prove it! TODAY ONLY kids dresses are $8 and adult dresses are $10. Online purchases get an extra 10% OFF, including already reduces styles. If you're a believer of mixing high and low fashion get clicking to find a great-transition-to-fall garb at unbelievable prices. Happy #designerdealhunting lovelies! SAKS OFF 5TH is slashing an additional 25% OFF clearance merchandise with code LABORDAY. High fashion staples from Joe's Jeans, See by Chloe and MINKPINK are starting at just $17 pre-discount code! Shipping is FREE for orders over $99 with code SHIP99. 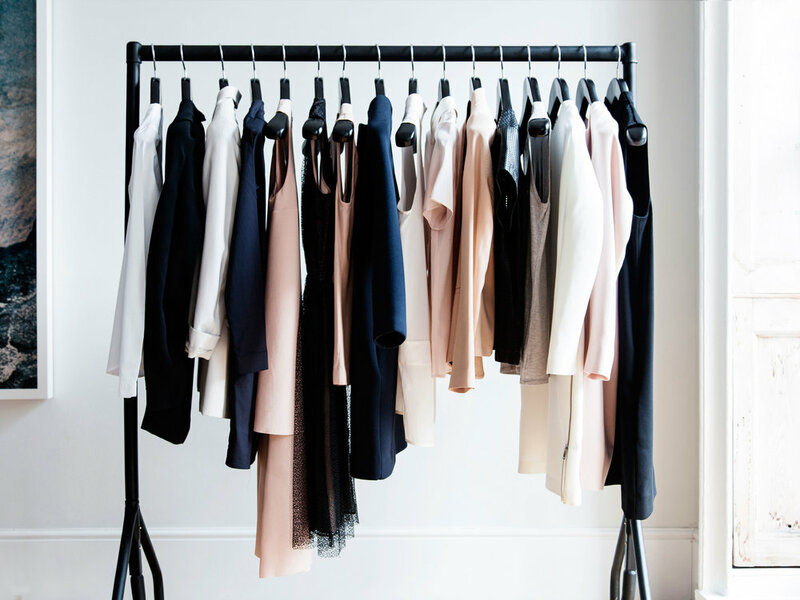 Gilt City is offering up an extra 30% OFF all kinds of purchases with code LDW30. 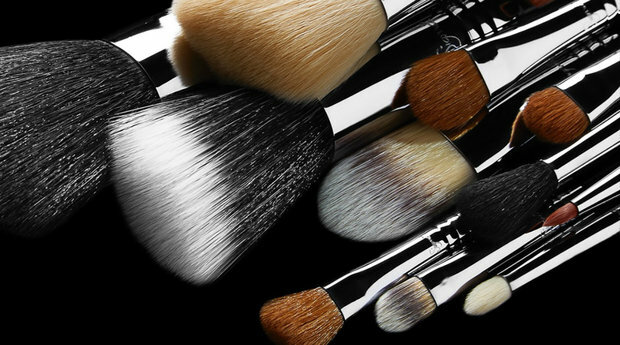 Deals to note are the fairly new but widely known Sigma Beauty, currently on Allure's accolade list for high quality brushes and award-winning cosmetics. Snag $100 worth of product for just $35 with the above code! Already reduced goods from our favorite vintag-y general store Anthropologie are being reduced an additional 40% during Labor Day Weekend. I'm drooling over this versatile Double-Buttoned Blazer Dress which drops to an amazing $53.97 from it's original price of $148. No coupon code is needed and the discount will be automatically applied. Ground shipping is FREE. Dooney & Bourke is taking 20% OFF purchases (including SALE) this Labor Day weekend through September 4th. No coupon code is needed and the discount will be automatically applied. Ground shipping is FREE. Taxes may do apply. Nordstrom is celebrating fall's arrival with an official summer sale. Designer sale items from Puma, Tory Burch, Eileen Fisher and more are starting at just $20. I'm digging this Cutwork Off the Shoulder Top by Topshop (pictured). Even better, your pick can be returned and standard shipping is FREE. Happy #designerdealhunting lovelies! Meet MARNI, one of the most consistently unexpected lines to grace the runway. Known for bold prints and billowing silhouettes MARNI has consistently surprised die hard fans with updated minimalist basics year after year. Each piece drips in designer style yet is basic enough to be paired with a new item for years of new looks. 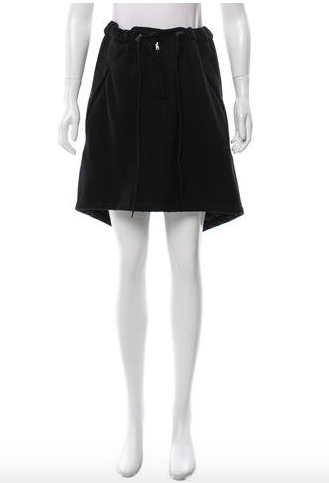 MARNI has the perfect balance of high quality + surprise details to remain a staple closet staple. Time for a new laptop? Snag this this HP Pavilion 15-ay052nr 15.6" Laptop with Intel i3-6100U 2.3GHz 4GB 1TB and Windows 10 at 63% OFF the original price from eBay.com. That's way down from the original price of $443! This item is online only and there is FREE SHIPPING. There's no better time to scoop up incredible deals on outerwear leftovers than right now during the super hot weather. This Ambercrombie + Fitch 2-in-1 Nylon Jacket is 65% OFF with code 10350. That's way down from the original price of $170, yipee! This item is online only and shipping is free over $75. Loehmann's has a gorgeous Fendi brown canvas shoulder bag in the signature print for $847.44 when you use the promo code SAVE15. 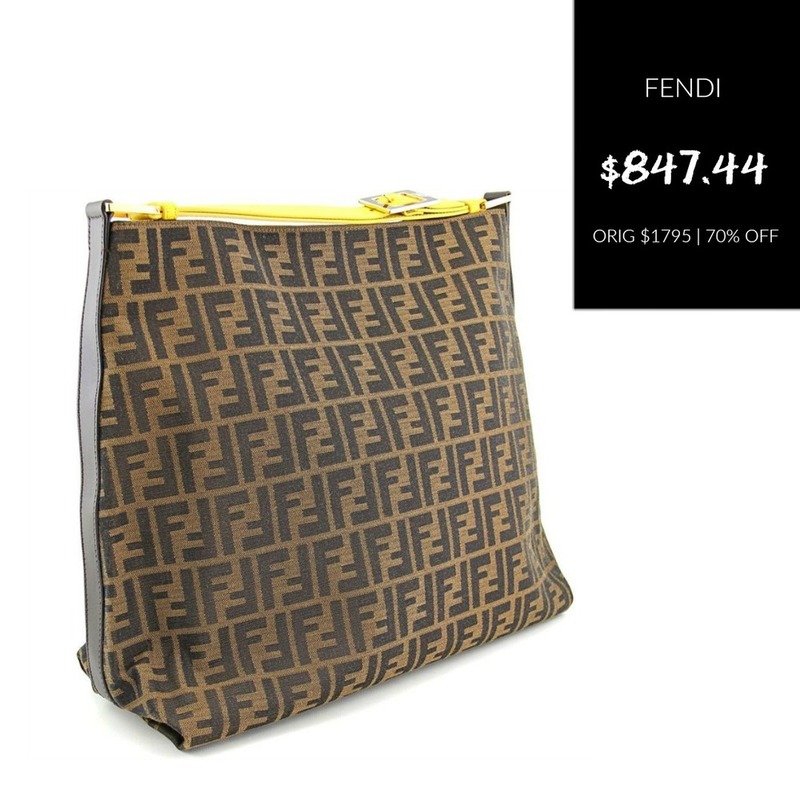 Since pretty much anything involving the word Fendi and coupon has my attention, I recommend checking this one out at 70% OFF the original price $1795.